Embark on an exciting 2-hour Skagway gold-panning shore excursion while your ship is docked in port. 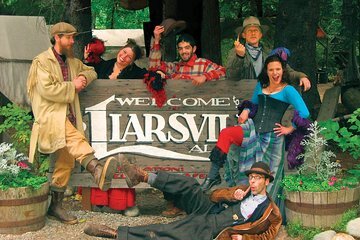 Discover Liarsville, named after the tall tales that originated during the Klondike Gold Rush, and learn how to pan for treasure on your own in the town’s gold fields. See fascinating relics from the gold-mining era, and in the fresh air of the woods, dig into a hearty, all-you-can-eat feast of Alaskan fare featuring wild salmon. Port transport included. Learn how to pan for gold and keep all you find! 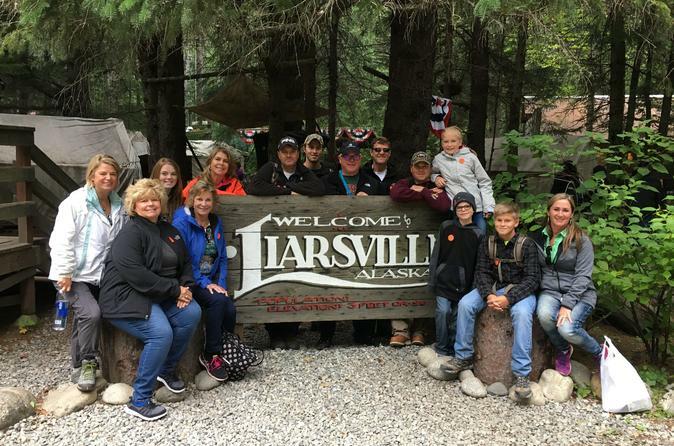 On this Skagway shore excursion, find out what the Gold Rush was like as you discover the historic village of Liarsville. After port pickup, head to Liarsville Gold Rush Trail Camp, located at the base of Alaska’s White Pass, beside a waterfall. Begin your adventure with an alfresco buffet feast in the forest, fare that includes wild, Alaskan-caught salmon grilled over an alder-wood fire. Then, check out authentic exhibits of Liarsville’s history in the Gold Rush–era trail camp. Learn more about the tall tales written by journalists who ventured to Alaska during the Gold Rush. Walk by the historic bordello and the laundry tents to see the antiques and vintage clothing left behind by the miners and the ladies of the night. Enjoy entertainment inside the Hippodrome, where a cast of 'sourdoughs' and 'dance hall girls' enacts hilarious melodrama and a poem reading. Later on, have your picture taken with one of the dance hall girls or the camp's beloved dog mascot, an Alaskan malamute. Time to pan for gold! Learn the art of discovering this precious metal before you’re let loose in the Liarsville gold fields. When you've made your fortune, stroll through the camp and visit the Fancy Goods souvenir store. Enjoy complimentary cookies and apple cider before you’re driven back to Skagway port. The Salmon Bake was very good, but the show was very short. It was a few songs, and then panning for gold. I think it is over priced in my opinion. This was a good excursion for kids and the history was very interesting. The salmon buffet had a lot of food, salmon, pasta salad, coleslaw, chicken, cornbread, desert and other items that were yummy. It was a plus that they served Alaskan beer as well for a minimal price. Wish we had used the extra time for doing the 6 hour Yukon tour with the lakes and dogs and scenery. Show was informative but kind of corny. You have to listen very carefully to get the history revealed but it is somewhat interesting. Salmon and food was very good however. The gold panning is only instructional practice in troughs using pans with gold flakes embedded in the dirt. Good learning experience but you will never strike it rich. Only did this tour because some wanted the experience. Could be fun for some but I needed something more of natural beauty and awe. It was cold and raining but yet they had no heat lamps like the other bake we did at a different port. Food was not good, over cooked and extremely salty. everyone who I sat with agreed. The show was silly and I enjoyed that. gold panning was short lived and not super exciting. not worth the money or time. This was a terrible excursion!!!  If I could give them no stars I would!!! Don't waste your time or money!! If we weren't bused in we would have left!! The bus picked us up at the cruise terminal and drove us to the location which was supposed to be a brothel. We were greeted by a woman pretending to be a prostitute at least I think she was pretending. She directed us to the picnic area for the salmon bake. The food was terrible and the salmon was DRY! After lunch they took us to this outdoor stage where the other actors all dressed as prostitutes performed a short musical. Every visitor was clearly uncomfortable. After the show they led us to the area to pan for gold Each of us were given a pan of sand and shown how to find the gold. Needless to say, noone left with more than a fleck of gold. Don't waste your money!!!! The grandchildren all loved this tour, especially panning for gold. They thought they were all going to get rich, and then quickly realized how hard it was to search for the little flakes of gold in the water. The staff was very patient and nice, especially since one grand child is very ADD and asks a million questions. Every question was answered with good humor and the staff never acted annoyed at the rambunctious antics of the children. The food was so so, but we weren't really there for the food, just the experience. Food was excellent! They used a saloon style show to tell you about the history and gave her a lesson on how to pan for gold before trying your own luck. There was time to look around at the tents and equipment used as well as shop in the Goods store. Liarsville Gold rush camp was okay. The salmon was very fresh and food was good. A brilliant trip and would definitely recommend it - a light hearted view of days gone by and just the right sort of tour amidst a heavy touring holiday schedule. We were picked up near where our ship docked promptly and driven out to Liarsville - we were the only passengers. There we were met by Miss Molly - a 'lady of the night'. She gave us a personal tour of the camp as other guests had not arrived yet. We saw the tents laid out as they would have been during the mining days, saw the different types of activities the miners experienced, together with tools of the trade. We visited the gift shop which was well stocked, When the other gursts arrived by bus we went straight over to the BBQ meal. This was amazing - so much food - chicken, salmon, salads and veg. blueberry cake for dessert to follow. During the meal a man played the guitar and sang folk songs. Soft drinks were available but alcoholic ones could be purchased from the saloon at a reasonable price. Following this we were entertained by the 3 'ladies of the night' together with a man on a guitar - this was quaint and funny. We were also showed how to pan for gold. Then it was our turn - it was more difficult than I thought but did eventually find a very small amount planted prior to our visit!! which we were allowed to keep. We were told it had the value of a Mars Bar.!!! The rest of our time was spent looking around further and chatting to Miss Molly, who told us that a grizzly bear had walked into their camp 2 weeks prior. It was eating the dandelions there and then wandered around drunk!! All in all a very enjoyable experience - definitely recommend it for all ages if you want to have some fun. Good value for money.